Half Clips - Series CHV-CH - large selection at Bolt Products Inc. - Bolt Products Inc.
A Half Pipe Clip (Half Clip) is used to hold wiring or tubing against a solid surface. Available in both plain and cushion clip varieties. 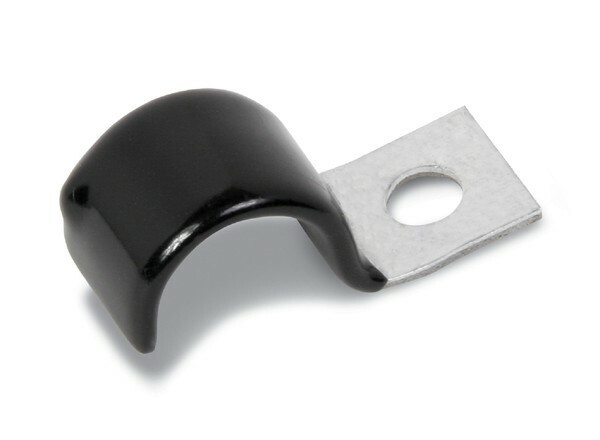 The cushioned half pipe clip features a 1/32” thick black vinyl coating for added protection of wires or tubes. Dimensions of same-sized plain half clip and cushioned half clip are identical, except for clamping diameter.